If you have been following my blog regularly,you will know how obsessed I am with The Nature's Co products from past 1 year after the introduction of their Beauty Wish Box. 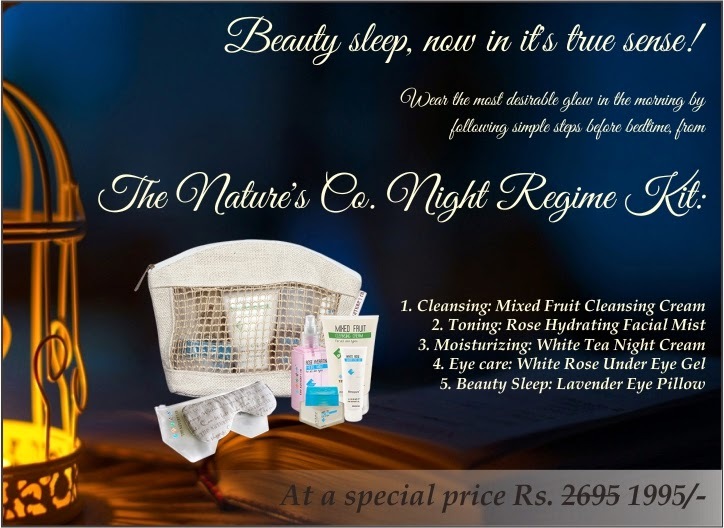 And Now they have launched the Night Regime Kit which says ''Wear the Most desire glow in the Morning by following simple steps in the night with our Night Regime kit Products"
You can get all these at an Special price of INR 1995/- instead of INR 2695.You can check out from their website here. You can buy the Night Regime Kit here.